The new XCOM demo is out on steam today! 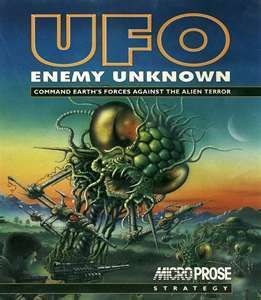 I lost ALOT of hours to UFO and Terror from the Deep back in the distant past. The new one looks nice and in the demo seems to play out nicely. I remember playing UFO and being really upset when my guys died, especially after spending ages naming them all. Terror from the deep was essentially the same game with some new skins and a few extra mission types. But it still had me hooked and i felt personally betrayed when nations took their money away from me. Good times. This has got me chomping at the bit for the new one to come out. Only 2 and a half weeks to go! However along with Resident evil 6 and the ridiculous amount of TV series coming up in October I think I shall struggle to get anything done!